Edinburgh reached the European Champions Cup quarterfinals for the first time since 2012 on Friday, taking Scottish rivals Glasgow into the last-eight with them. Edinburgh defeated Montpellier 19-10 to ensure top spot in Pool 5. Victory ensured Glasgow, who face already qualified Saracens on Saturday, will also make the quarters either as Pool 3 winners or as one of the best three runners-up from the five groups. Furthermore, Friday's result at Murrayfield allowed defending champions Leinster and Racing92 to move into the quarterfinals before the rest of the weekend's final batch of group games. 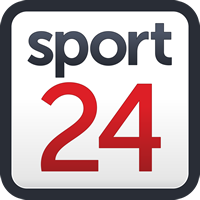 Fly-half Jaco van der Walt kicked Edinburgh 9-0 ahead before his fellow South African and Montpellier lock Jacques du Plessis drove over for a converted try for the French side on the brink of halftime. Veteran kicker Ruan Pienaar nudged Montpellier ahead with a penalty early in the second half for a 10-9 lead but Edinburgh's greater possession eventually told. Van der Welt was successful with another penalty before Edinburgh grabbed their first try just on the hour mark. Winger Darcy Graham crossed in the corner after his forwards created the opening with a ruthless drive and maul with van der Welt converting.